JUST SOLD! in 13 days for 98% of LIST PRICE. Terrific value in this large well-cared-for custom-built family home on a quiet inside street in desirable Upper Deer Lake. 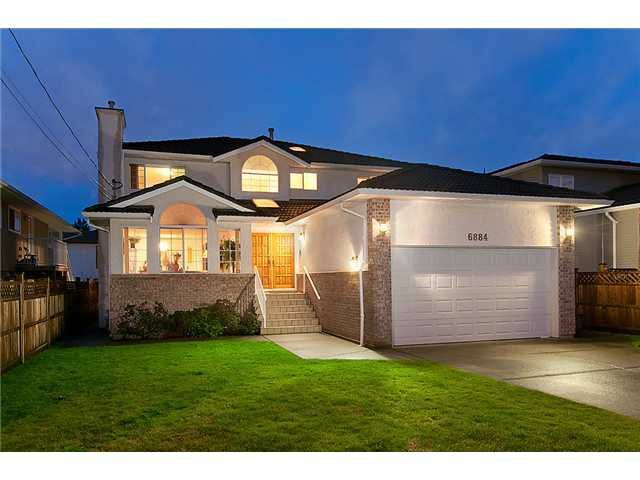 3808 sqft, 8 bdms & 5 baths on a 49' x 132' level lot. In-floor radiant heat throughout, 3 gas fp's, central vac, & security system. Main flr feat's spacious kitch w/island & built-in office nook, a nice private home office w/custom built-ins, and guest room. Upper level features 4 bdrms, 2 of them with walk-in closets & ensuite baths. Master suite offers a huge 5-pc bath plus make-up vanity. Lower level offers lrg rec room w/wet bar, its own entrance, & great potential for a separate 2 bdrm suite for family or rental-income option. Exceptional storage w/additional 450sf crawl space. OPEN SAT DEC. 15th, 2-4.